to make the cake, preheat your oven to 320F. grease and line four 6" cake pans or two 8" or 9" cake pans with parchment paper and set aside. to make the buttercream, cream the cream cheese and butter until smooth. add the lemon zest and juice and salt and mix until combined. slowly add the powdered sugar and mix until combined. mix on medium speed for a couple minutes until light and fluffy. if your buttercream is softer than you'd like, you can either add more sugar or chill it for 30 minutes before spreading. 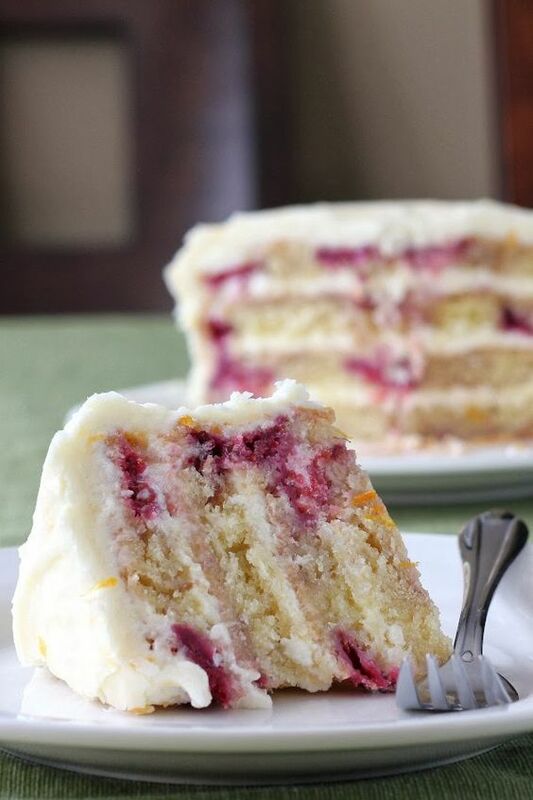 to make a four layer cake, slice each cake layer in half. spread with buttercream and top with another cake layer. continue until all layers are used. spread the cake with remaining buttercream. store finished cake in the refrigerator.